The god of sorts of Weekly Jump magazine decides that the major manga and anime characters from the past and present should compete in a tournament. 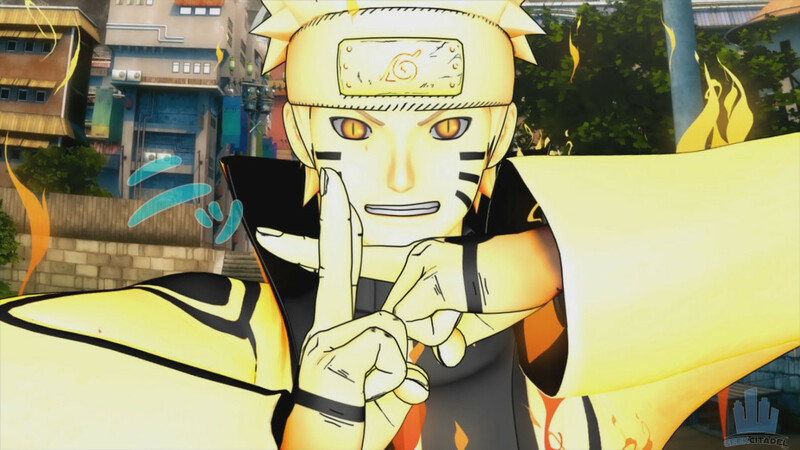 He lures characters like Monkey D. Luffy, Son Goku, and Naruto Uzumaki to face off in battle to prove their mettle. Is it similar to other games? 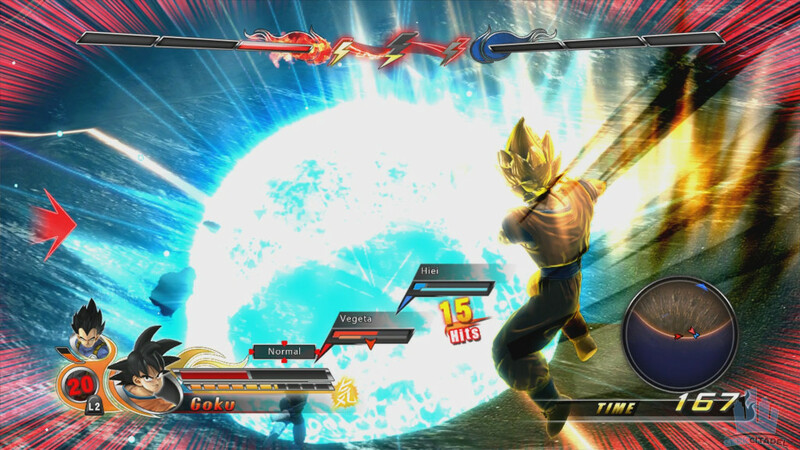 J-Stars Victory Vs+ is a fighting game that’s more similar to the Naruto Ultimate Ninja Storm series than say something like Street Fighter or Blazblue. A friend of mine says it reminds him of Power Stone and I agree with that comparison as well. Lots of characters – Ever read Shonen Jump over the past forty or something years? Well you’ll be excited to see that many of those characters have made it into the game as fighters, support characters, and all-around NPC’s. It really tries to hit you hard with a swift kick to the fan-service junk. Visuals are on point – It properly displays the artistic talent of various manga artists over the years in a fully 3D rendered space. 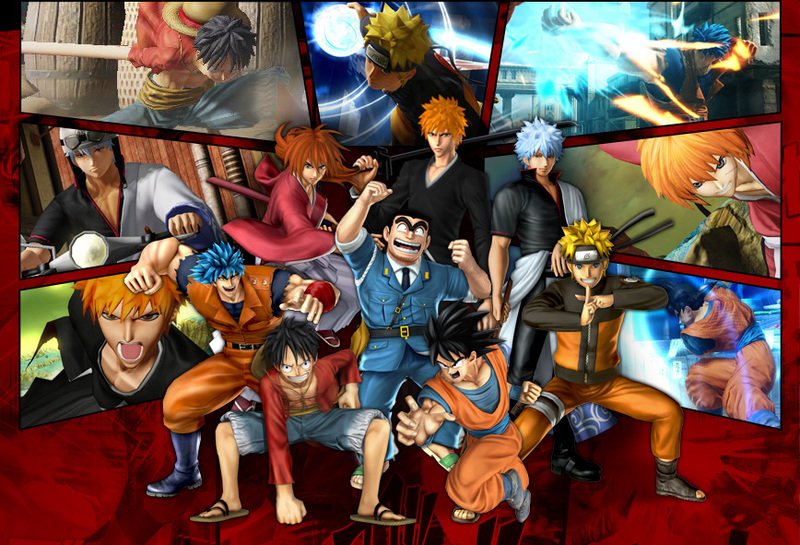 From Kenshin, to wacky characters like BoBoBo-Bo-bo-bo-bo, the various art styles come alive in J-Stars Victory Plus +. Ultimate Attacks – The staple of each character is defined by their signature attacks. Goku powers up and hits people with the Kamehameha, Saint Seiya shoots his famed golden bow, and Gintoki Sakata uses his power of parody to copy them both. It’s in the insanely long-winded but detailed specials that bring out the unique character of each of the fighters. I just wish there were more than one for each of the various characters. What is your favorite thing from the game? I love Shinpachi’s commentary whenever Gintoki from Gintama is fighting. That show is mostly a satire on all fighting anime so it’s great they could include some of its humor into the game. Did you dislike anything in particular? All arcs are the same – You have the choice of playing four different arcs in the game. These characters are Luffy (One Piece), Naurto (Naruto), Toriko (Toriko), and Ichigo (Bleach). Even though all these characters come from different anime, they all end up doing the exact same things in each of the arcs. So… if you don’t play with the characters you want at the start of the game. There isn’t a chance that you’ll want to play the same story again with the others. All the quests in this game consist of finding random items in the world, or beating up random anime characters. In fact, that’s all this game really seems to be about. Sail across the sea and speak to a character from an anime, go and beat-up some dudes. Expect to fight with the same characters over and over again without a skill or talent system to alleviate the boredom. There is some sort of experience bar for three different combat schemes, but they don’t really change anything… at least not that I’ve seen. If someone knows what these experience points do for my character, let me know. Lackluster Combat –Fighting people over and over again with little to no change. Fights feel like a less flexible version of the Ultimate Ninja Storm system. It’s relatively stiff in comparison with long pauses from ultimate moves, and two second invulnerability timers for a knocked down fighter. Let’s just say the appeal of spamming attacks over and over again and using the same ultimate attack gets old fairly quickly. Ugly Backgrounds – The character models in game are nicely detailed, but the environments look like a place where you’d raise a Scruffy looking nerf-herder. Despite depicting varying locales from different anime, each of these areas lack life, visual flair, and feature badly textured objects. Static Characters – Dialogue in the game is at least 80% text based. You’ll see stills of popular characters stand in place with little to no animation, and occasionally hear a clip of a repeated saying here and there. It’s extremely lazy for something based off of various animated shows. They could have a least animated the mouth of the characters. This game has nothing going for it outside of cramming incredibly popular characters into a game. The fighting system is sticky and stiff, the story is fan-service nonsense that’s not even appealing in the Anime sense, and the quest system is incredibly dull. Overall, this is a rather boring game that’s only fun for the first hour or so. I’d recommend only buying this one if you absolutely have to see Luffy, Toriko, and Goku fight. Or you know, you could just watch that animated special with all of them and get your fan-service fill from the special.